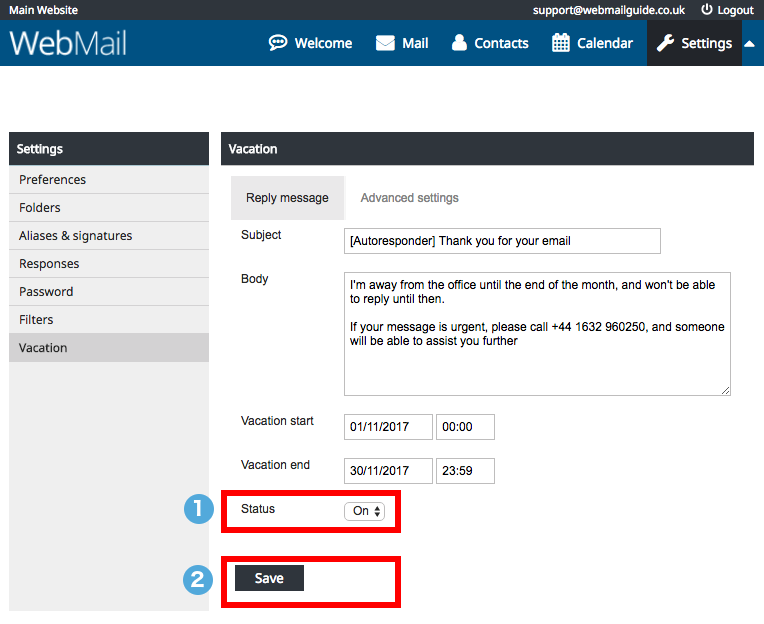 Vacation messages (also called Out-Of-Office Replies or Autoresponders) lets you send an automated reply to any email you receive. 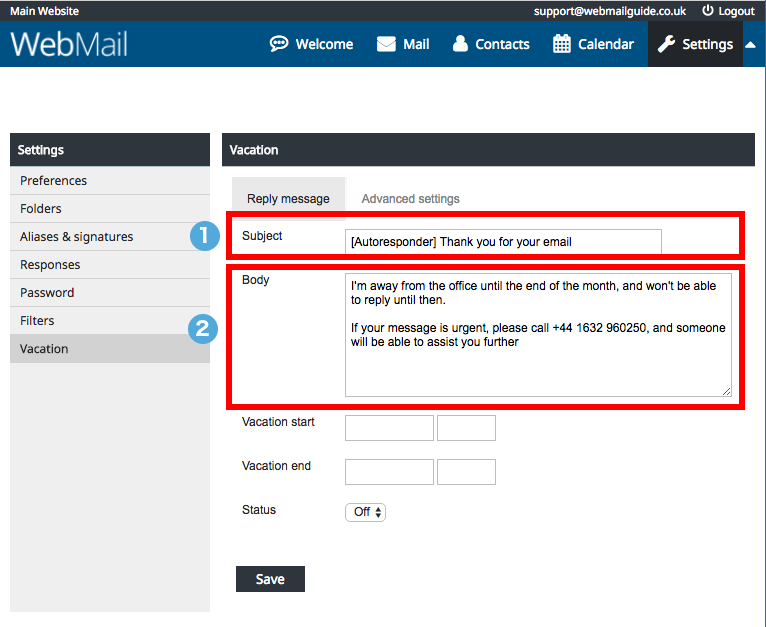 This is commonly used when you will not be able to access email for any length of time, such as annual leave, but can also be used to let people know you've received their email. 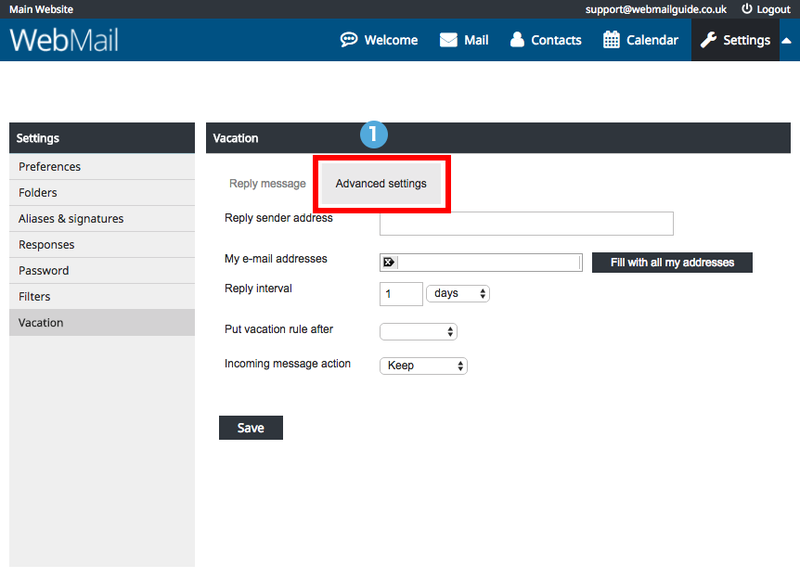 Not only can your Vacation message can be on or off, you can also specify a date range when it is enabled. 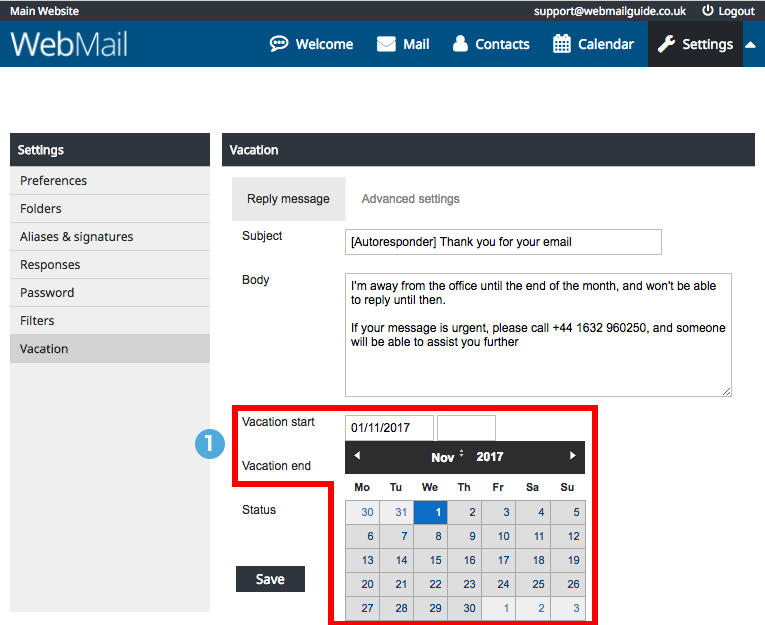 Clicking in the boxes for Vacation Start and Vacation End (fig.3 - 1) lets you set the date and time for when your Vacation message will send out automatic replies. The final step to creating your own Vacation message is to enable it (fig.4 - 1) and then saving it (fig.4 - 2). The most useful of these options is the My Email Addresses section (fig.6 - 1). 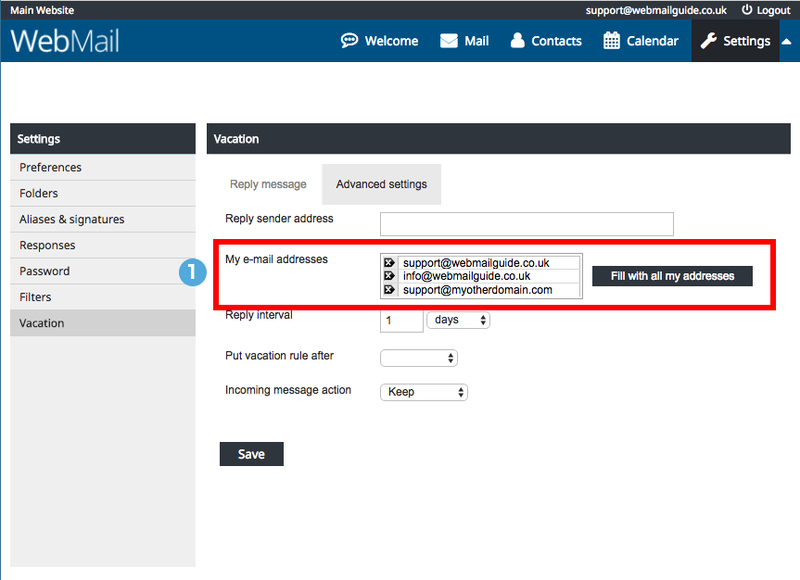 If you have multiple email addresses being delivered to your mailbox, you can set which ones will use the Vacation message. Only emails addressed to these listed here will trigger a Vacation message. 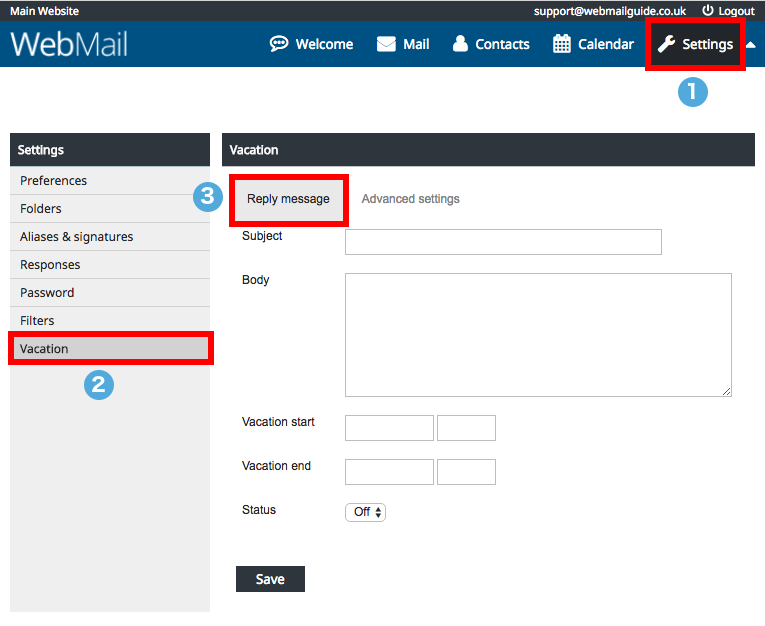 Emails to other addresses the mailbox collects will simply store the emails as normal.